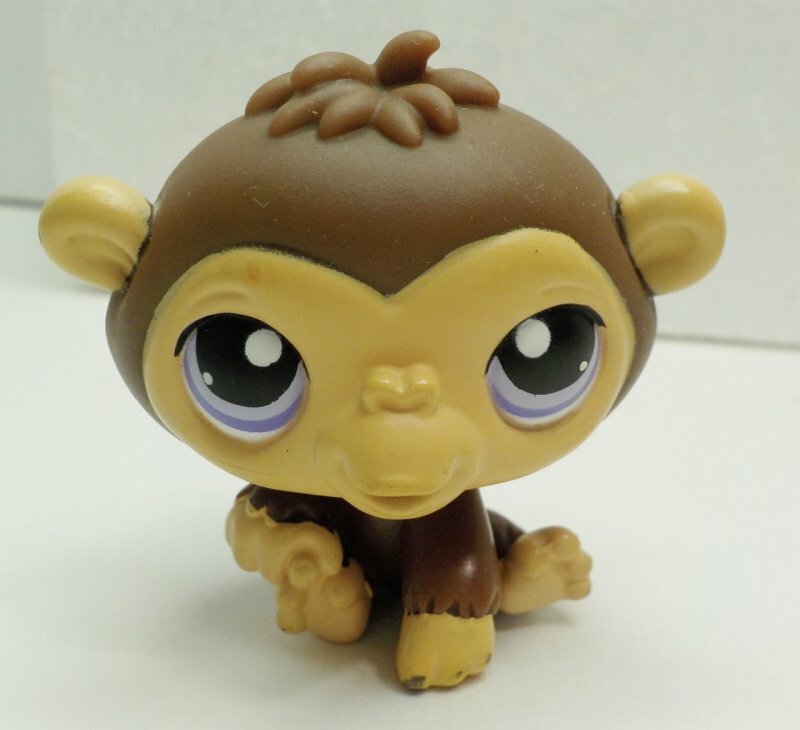 LPS #359 is a little brown chimp with two toned purple eyes with circle eyemarks. The chimp has a blue/gray magnet and date stamped 2006. Paint chipping on paw. 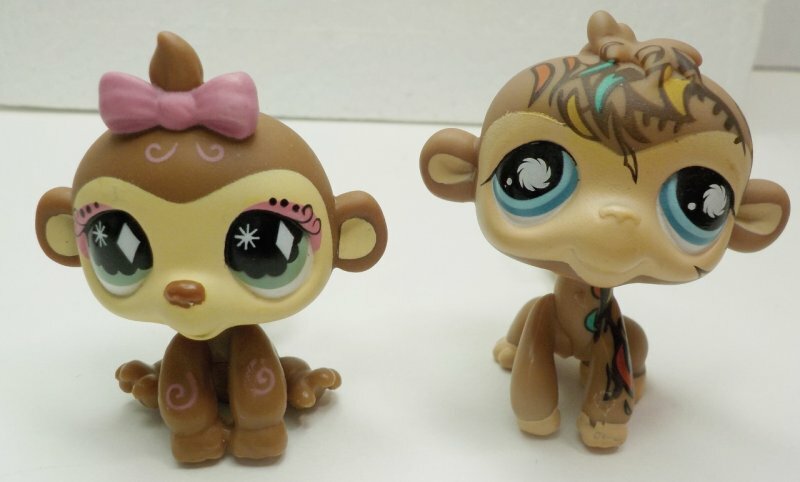 #485 is a brown and tan monkey with two toned blue with raindrop eyemarks. 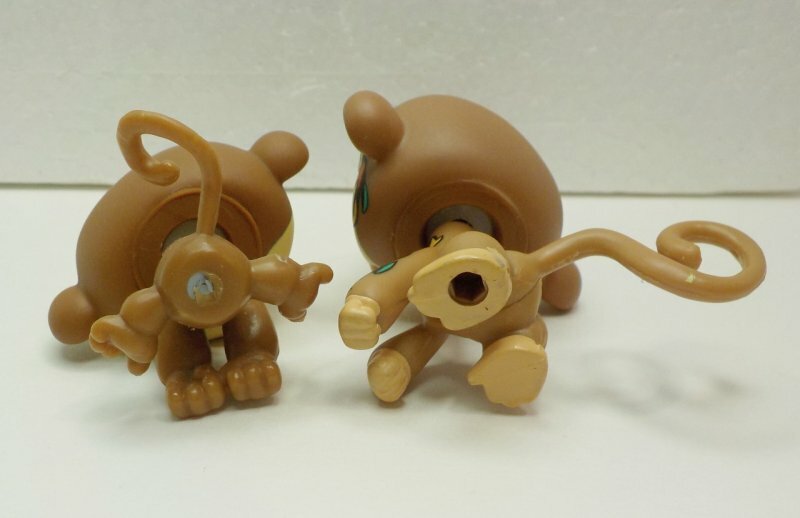 This monkey has tan marks on chest and legs and has a blue/gray magnet. Date stamped 2007. 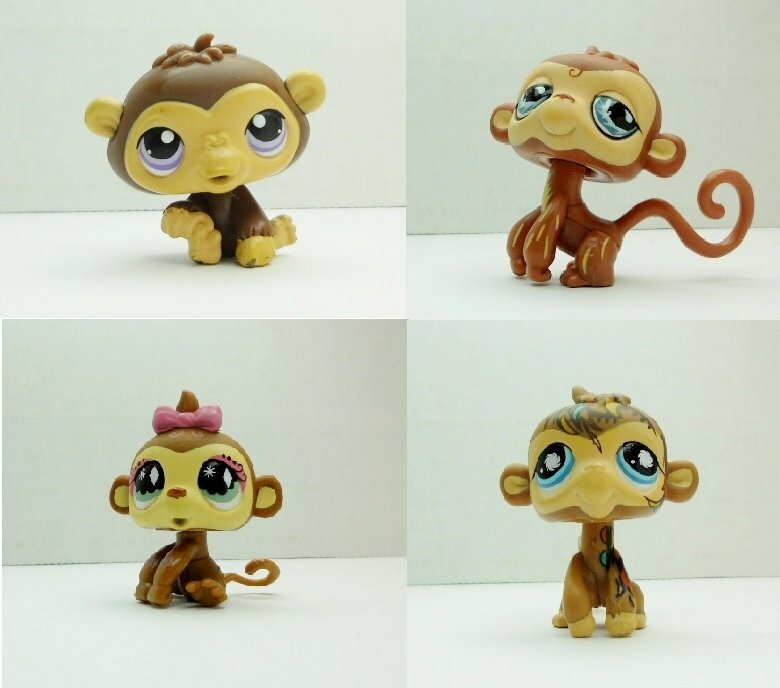 #600 is a little girl baby monkey. She is brown with a tan markings, and is wearing pink bow and eyeshadow . She has green wavy eyes and 2 eyemarks, diamond and sunburst shaped. She has a gray/blue magnet and is ate stamped 2006(8). Originally from Fanciest Pets set. 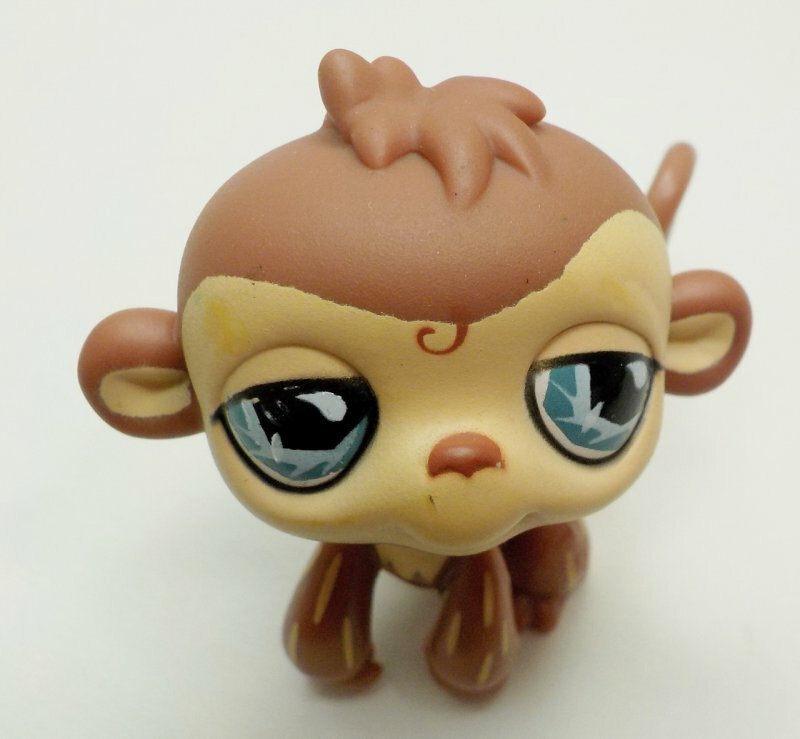 # 946 is little decorated light brown monkey with two toned blue eyes and swirl eyemarks. This little monkey has decorated markings on head and down left side. Date stamped 2008. Condition: The pets comes loose as is and in very good to excellent condition. Items were lightly wiped, but deeper cleaning will be up to the buyer, if needed. No accessories. 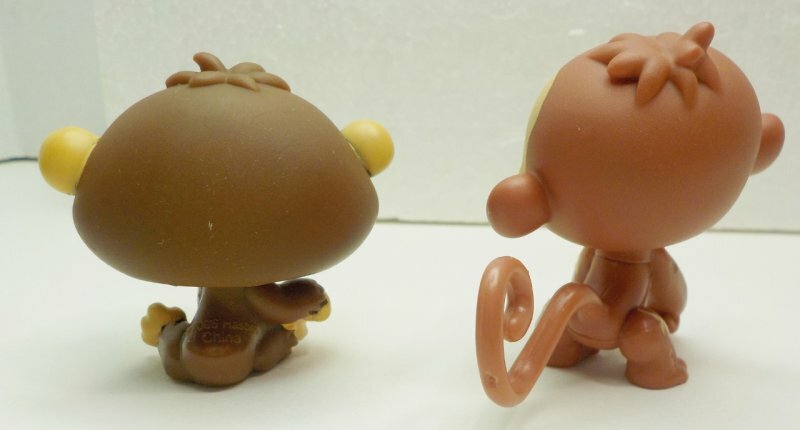 There may be stray marks/paint from original release and some pets may have paint wear.